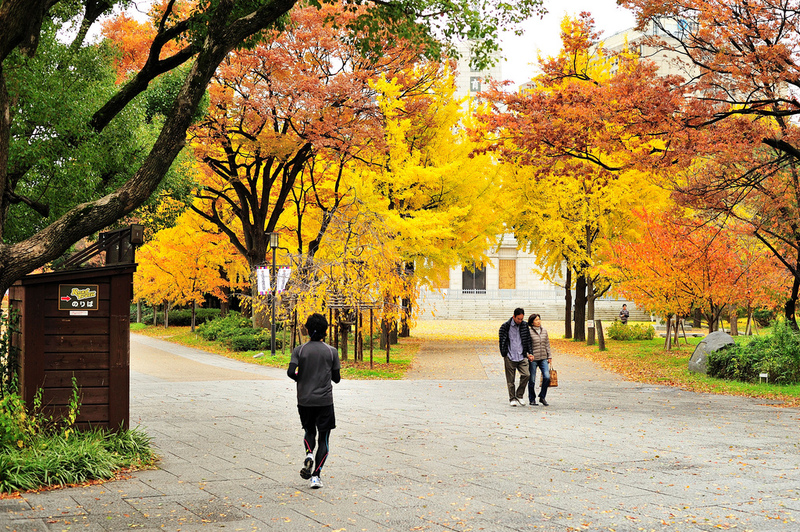 Touring Japanese cities is no cheap affair, and Osaka is no exception. 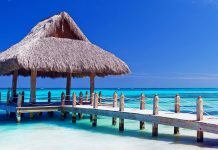 Fortunately, if you do happen to take a vacation to this historic and culturally rich metropolis, there are many cheap and even free things to do and attractions to see. As the name may imply, this two square–kilometer park features a medieval castle that towers over the lush, forested landscape. 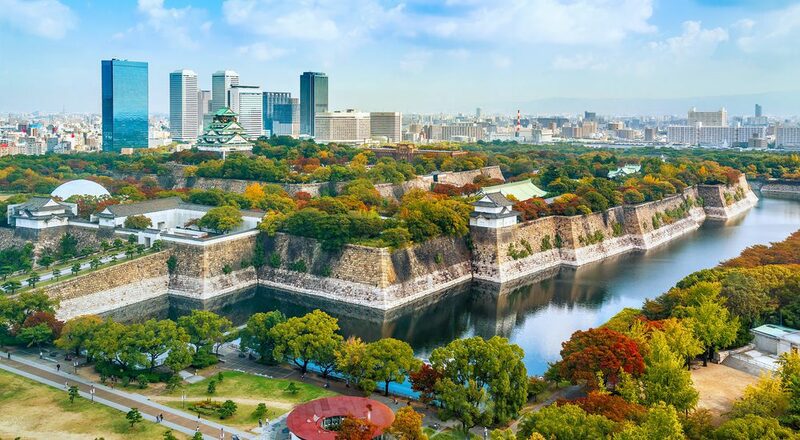 Furthermore, Osaka Castle Park has many sports facilities such as tennis courts, walking trails, and a swimming pool as well as a historic Shinto shrine. The nicest time of the year to visit is in early fall (right after the heat and humidity of the summer) when the park is awash in bright red, yellow and orange colors. 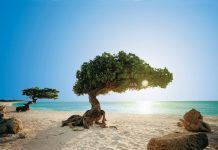 Here’s a great place to relax and gather your thoughts in natural beauty. 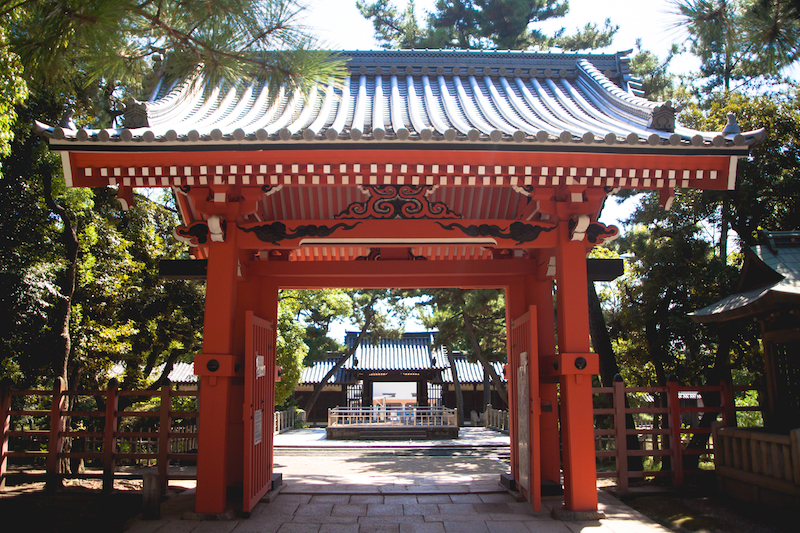 This Shrine is a favorite destination for locals during the Japanese New Year. Also, it’s one of the oldest Buddhist shrines in this part of Japan. One of the most interesting features of the religious site is the Taiko Bashi, known as the “drum bridge” in English. This fortress was constructed nearly five centuries ago, in 1583. High stone walls and heavy wooden doors greet you as you enter. The price of admission is a mere ¥600 ($6 U.S.) but is totally worth it. Once inside, explore the 16th-century buildings and weaponry from that era. You can also take a picnic in Nishinomaru Garden. Go in early springs to watch the Sakura (cherry blossom trees) in full bloom. There are several festivals that take place in Osaka during the year, most of which are free to attend. 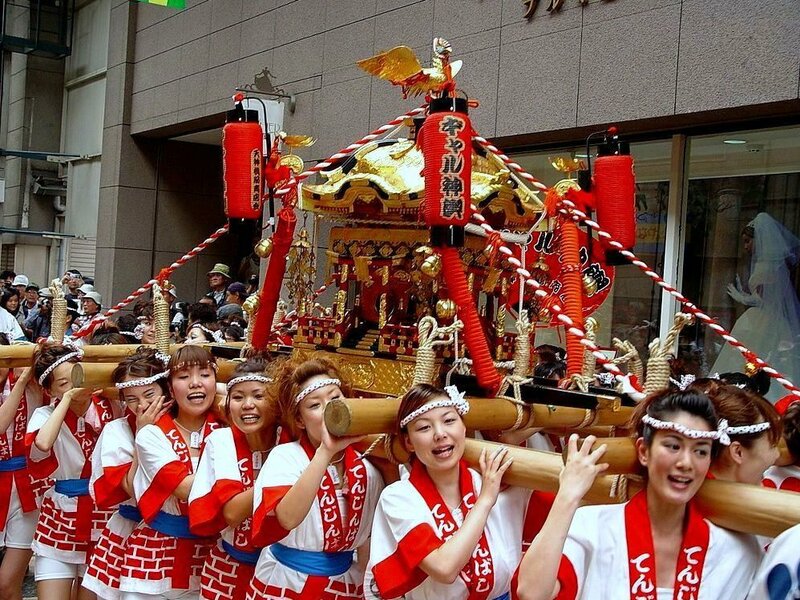 Undoubtedly the most popular one with tourists is the 1000-year-old Tenjin Festival, which takes place from July 24th – 25th. While free to attend, you will definitely want to have some Yen in your pocket to purchase delicious local food that’s served up. If you happen to be in Osaka during the Christmas holidays, the Festival of the Light is a don’t – miss event that sees the entire city lit up in multicolored wonder. There’s nothing quite like a free beer. 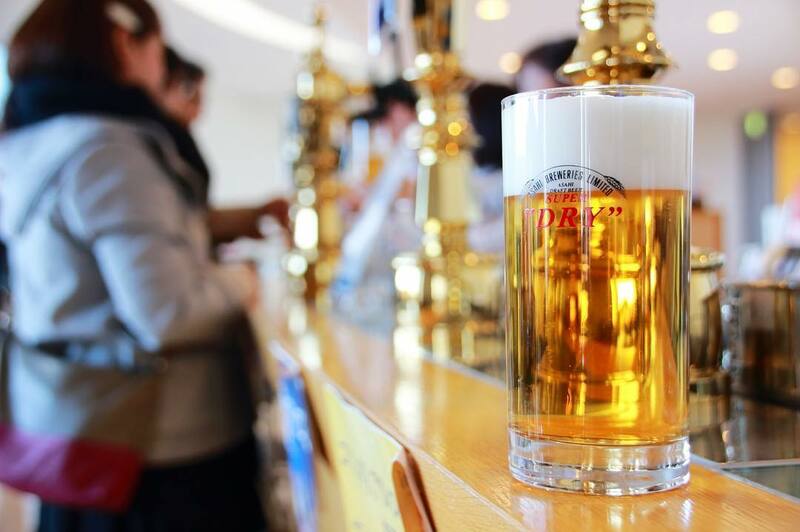 And what better way to enjoy your Osaka trip than by trying some authentic Japanese beer? When you visit the Japanese Brewery in Asahi, you’ll get a 90-minute guided tour of the factory. Your guide explains the process of making the beer as well as the ingredients that go into it. There’s also a gift shop that includes such souvenirs as pint glasses as well as fresh beers. This is where the pulse of the city beats wildly after dark. Dotonbori is iconic for the Glico running man sigh. 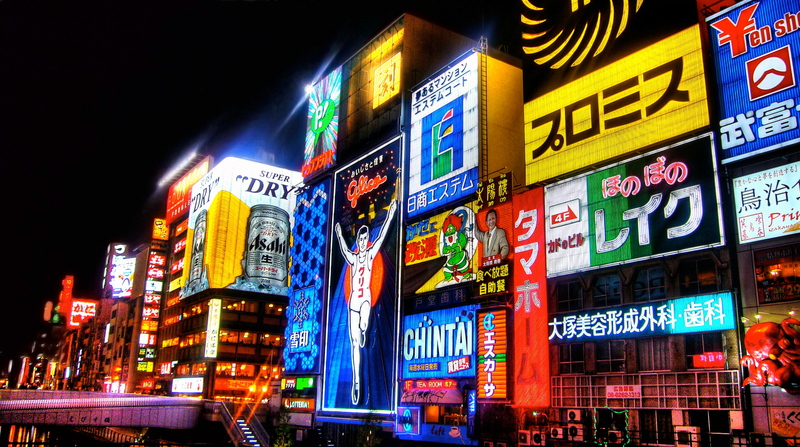 Located in the Kansai District, this area has the best shopping in Osaka. Dizzying neon lights truly highlight the shops, malls, and restaurants. The streets are separated by a canal. If you’re hungry, check out the Kani Doraku seafood restaurant. 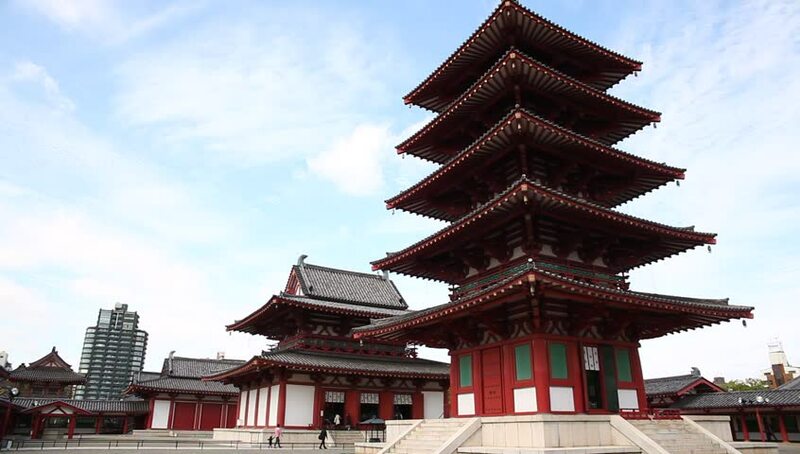 One thing you’ve probably figured out by now is that there is no shortage of history in Osaka. Shitennoji Temple has the distinction of being the first Buddhist temple in Japan. It was established in A.D. 593 when the religion first arrived in Japan by Chinese missionaries. It costs only ¥300 to enter the temple but the outer grounds are free to explore. 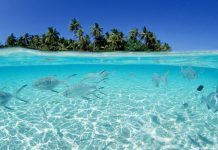 Overall, this is a very worthwhile destination to have on your itinerary.